Oh no! There's a fire and the local fire chief is needed right away to put the fire out. If danger is near, just give a yelp! The Paw Patrol is here to help! 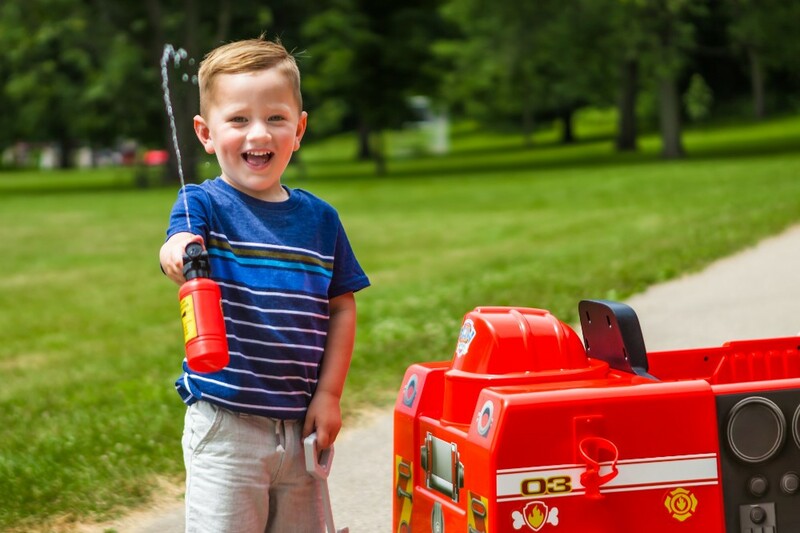 Save the day like Marshall with the 6-Volt Paw Patrol Marshall Fire Truck from Kid Trax. 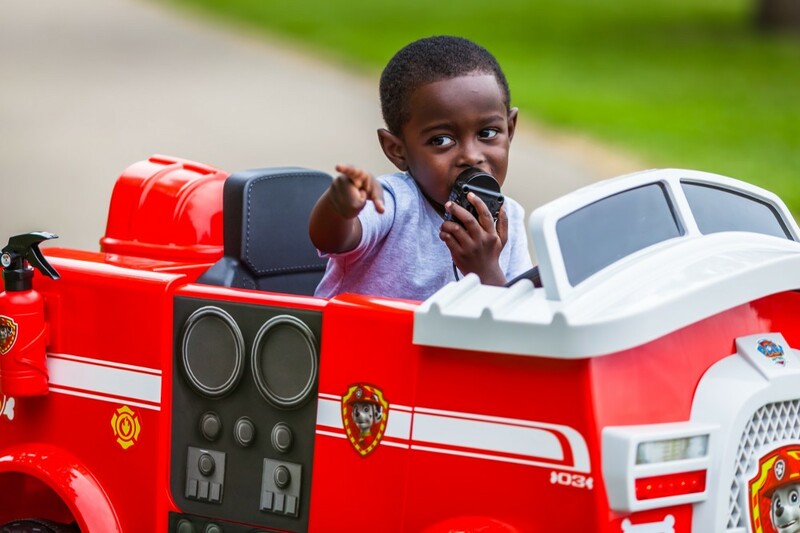 With real flashing lights and siren noises, your little firefighter in training will be on the scene in no time. Put out the fire with the included hat, shovel and fire extinguisher that are removable from the truck for on-the-go fun. Realistic horn and siren sounds take the fun to new levels, while Power Trax rubber traction strip tires help keep the ride smooth. 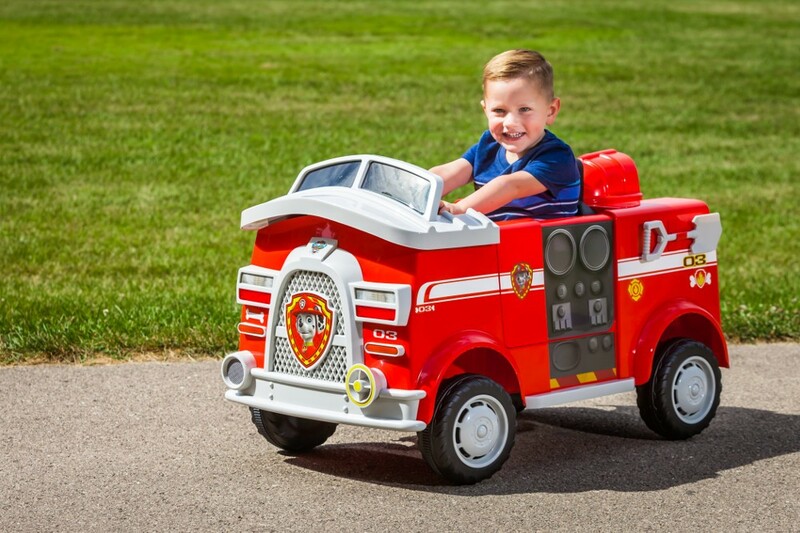 Meanwhile, forward and reverse driving options (2.5 MPH) and real foot pedal acceleration create a real driving experience for little firemen and firewomen. When it's time for a nap, use the One Step Direct Connect Charging System with the included 6-volt battery and wall charger for easy re-charging. 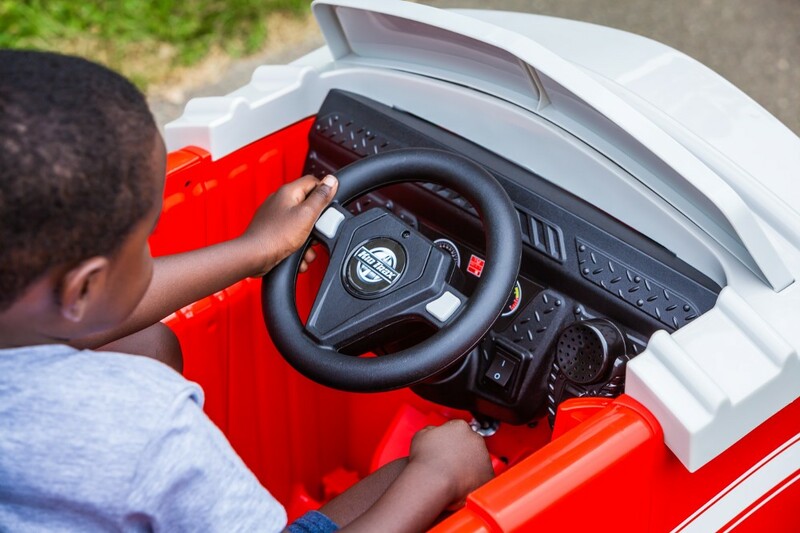 Blaze a new playtime trail with the Marshall Ride-On from Kid Trax! 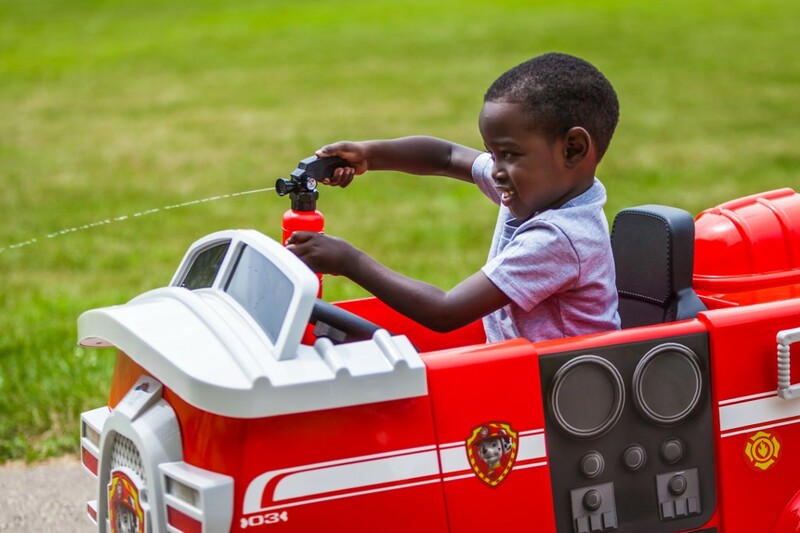 Save the day with this authentic fire truck like Marshall rides! Removable hat, shovel and fire extinguisher will turn your child from amateur to pro in no time! Comes with a 6-volt rechargeable battery and wall charger for never-ending fun!